“MGM took a risk on Morgan…” Helen Morgan, that is (in a later paragraph of this review). MGM took no risk. MGM had nothing to do with it. 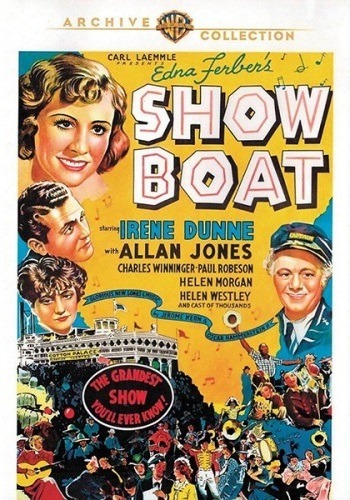 The 1936 Show Boat was made at Universal. Latterday prints of it may bear an MGM logo up front, but that’s only because MGM bought it–and buried it–when setting out to make their own version of the property a decade-and-a-half later. (As they had done with the Paramount Dr. Jekyll and Mr. Hyde and the RKO Little Women and the English version of Gaslight.) Studio parentage in the golden age mattered a lot, historically, politically, aesthetically. And now we have this Universal/”MGM” artifact coming out via Warner Bros.